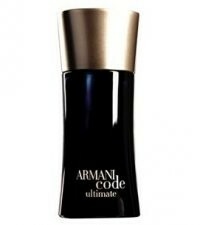 In 2012 Giorgio Armani introduces a new fragrance to the Armani Code Collection, Armani Code Ultimate. A prestigious, more luxurious interpretation of the classic Armani Code Fragrance and presented in polished black glass, enhanced by precious gold. The definition of ultimate: The finest, most excellent, most desirable, extreme luxury. Unsurpassed, unequalled. Cypress Wood: a fresh, clean scent of cones and pines, a highly fragrant aroma. Cleansing and purifying.